Gerald originally trained in medicine in 1979, and later in psychotherapy in 1988. 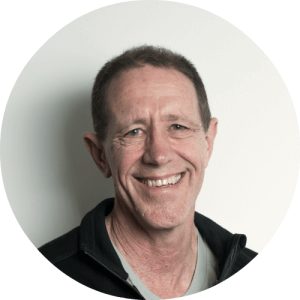 He has practised full-time psychotherapy since 1994 and has offered supervision to a variety of health professionals in Auckland, New Zealand since 2003. He has particular interests in working with body symptoms and illness, as well as relationship counselling and group facilitation. His early work experience includes six years as a rural medical officer in the highlands of Papua New Guinea during the 1980s where he discovered the relativity of our value systems particularly as they relate to health care, healing and our relationship expectations. Alongside his psychotherapy practice, he also supervises individuals and teams of health workers in child psychiatry, paediatrics, mental health, chronic pain, eating disorders, and palliative care. He has supervised professionals working in domestic violence and psychiatric hospitals. Gerald’s interests include the integration of neuroscience into psychotherapy, and particularly the implications of new findings on the functions of the right and left hemispheres and the widely different perspectives that each side takes on the world. He sees this as a crucial distinction with implications for individuals and society. In the 30 years he has been practising he sees a gradual shift in his work away from definitive interventions with clients towards a much less deterministic approach where patience, ‘not knowing’, and the primacy of ‘feelings as informants’ define his work. Writers such as Iain McGilchrist and Wilfred Bion have become important to him and in this regard, he identifies much more strongly with Mindell’s ‘Sentience’ ideas than he did earlier in his career. In line with the above, Gerald believes poetry, film and literature are among the most powerful supports that we have in psychotherapy, and he treasures the way such beauty can be honoured and used in sessions. These compliment the other central plank he finds works best, which is the power of the therapy relationship, and indeed all our relationships, to transform individuals and our world. Since 2006 he has been involved in the post graduate training of psychotherapists in New Zealand and Australia. He was the Chair of the New Zealand Association of Psychotherapists (NZAP) Advanced Clinical Practice Committee for a number of years and is currently the President of the NZAP. He facilitates workshops on case formulation for psychotherapists and other mental health workers and supervises long case studies for psychotherapists on the ACP Pathway.